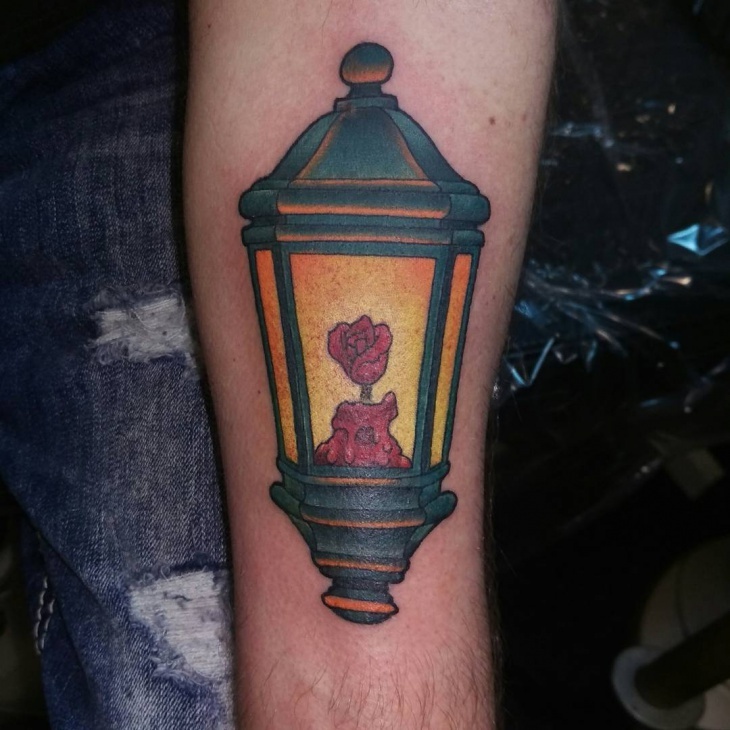 Lights will guide you home as the famous Cold Play song states. 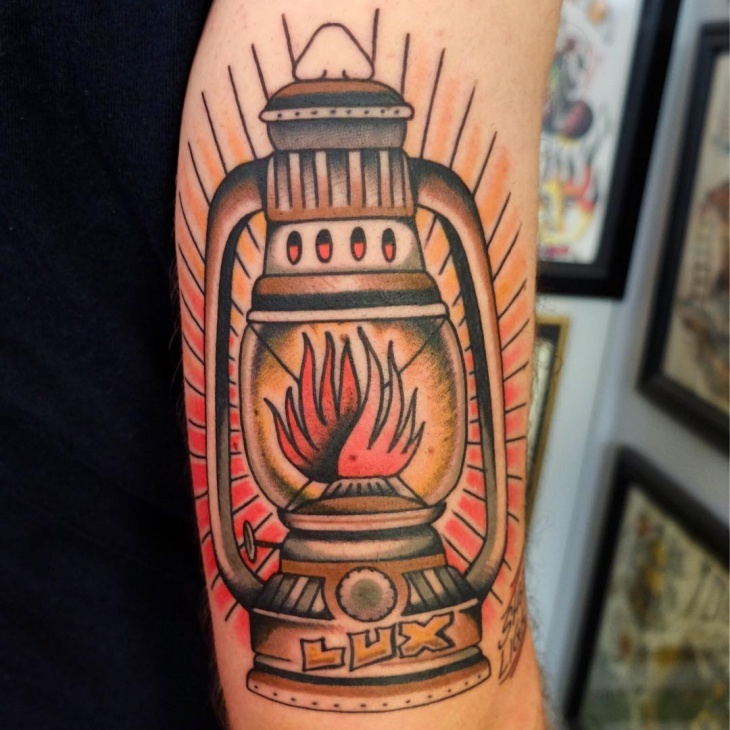 Lamps are rays of hope and light that are said to guide you on the righteous path. Tattoos are a depiction of something meaningful to you. 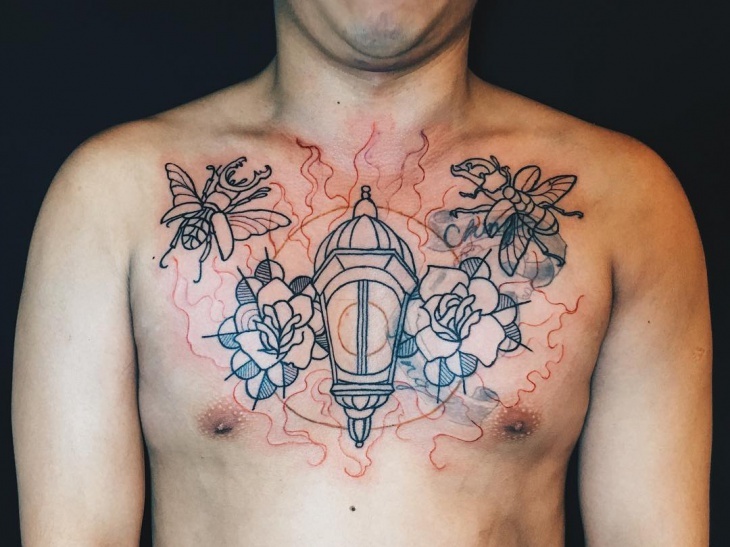 Lamp tattoos are one among many that have a greater meaning. In India, South India to be specific, lamps are lit outside the house in the evening as a sign of greeting darkness with light. In North India, lamps are used during Diwali. Lamps have different purposes; some are just to use them as a source of light. 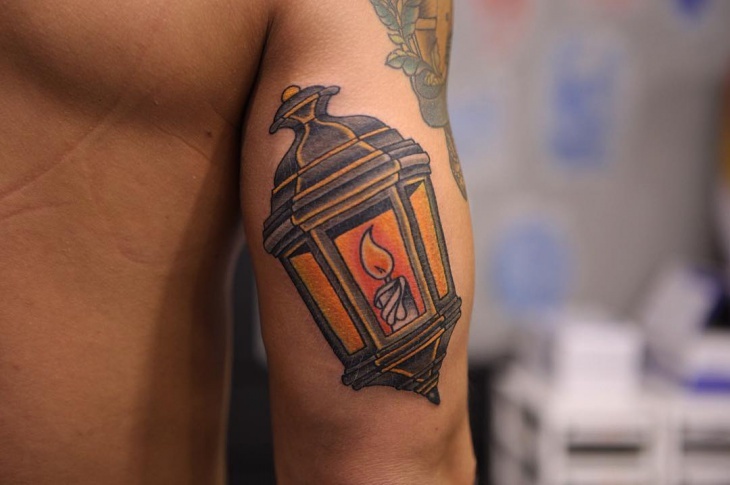 Let’s see the different kinds of lamp tattoos that might make us want to get one too. This is a very traditional lamp that we see. People in the olden days used to use this because there was no electricity then. 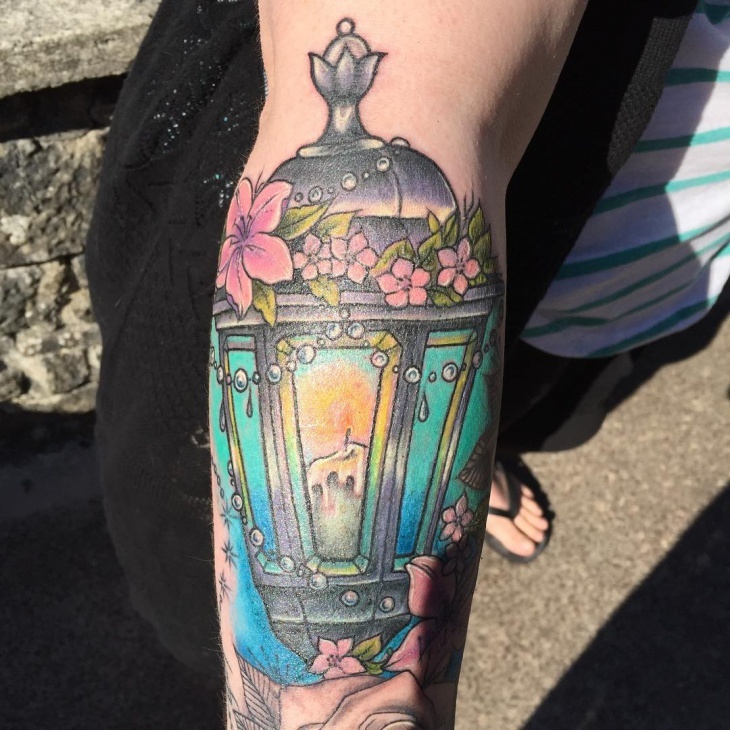 This is a beautifully done lamp. The eye in between gives it an extra effect and visual appeal. 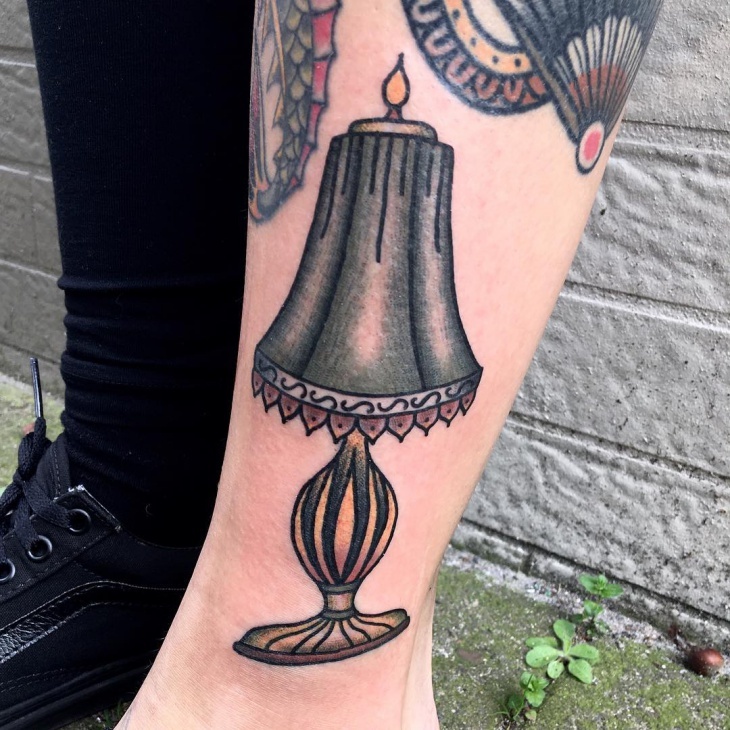 This is a vintage lamp with a candle lit inside it. This was used because of electricity problems. 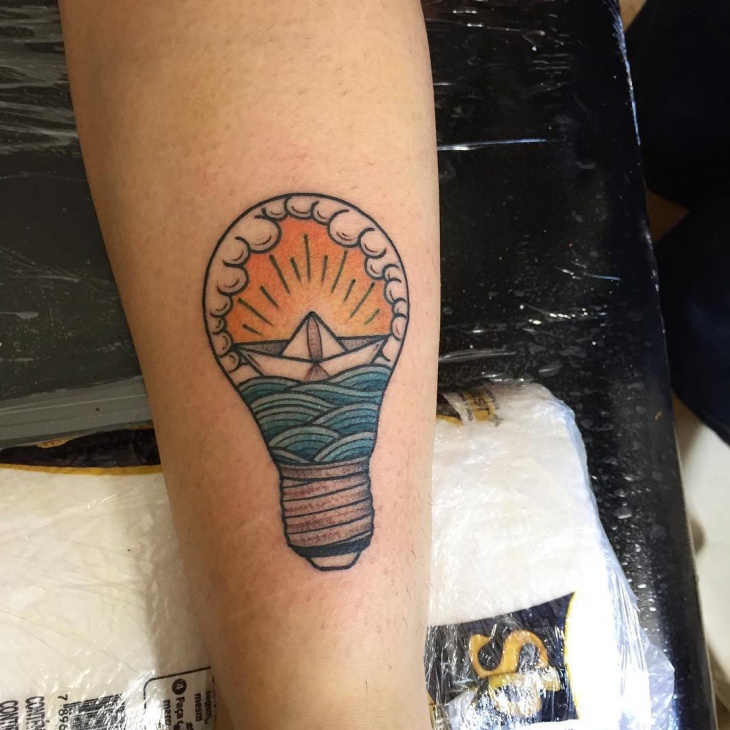 This tattoo can depict a ray of hope and sunshine. 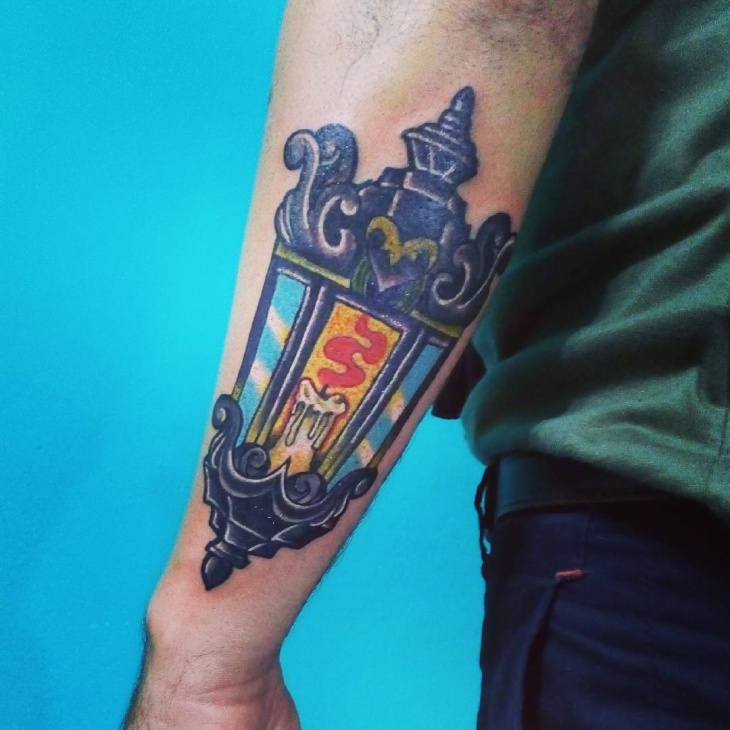 This is a very classy lightning tattoo. 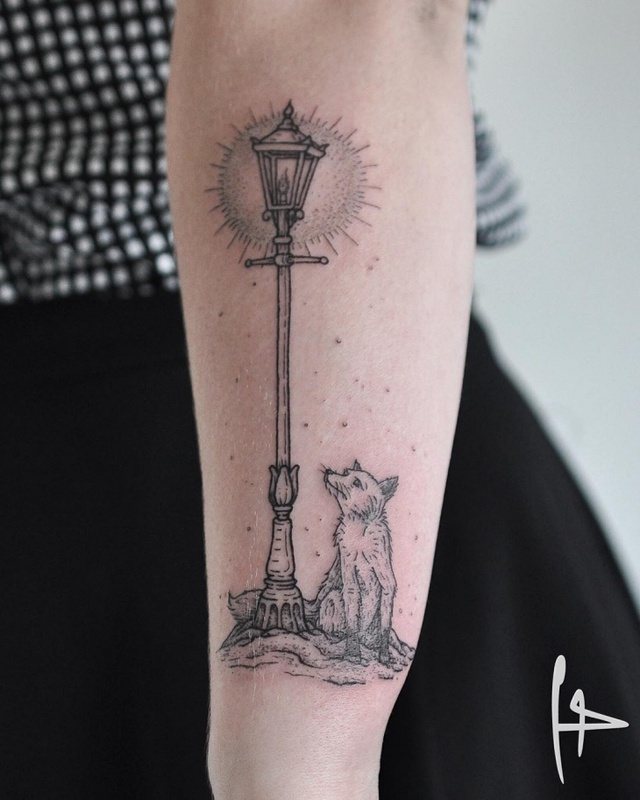 The whole idea of the wolf looking at the lamp is very well captured in this design. There is a lot of intricate work to it that if you look closely you can notice. 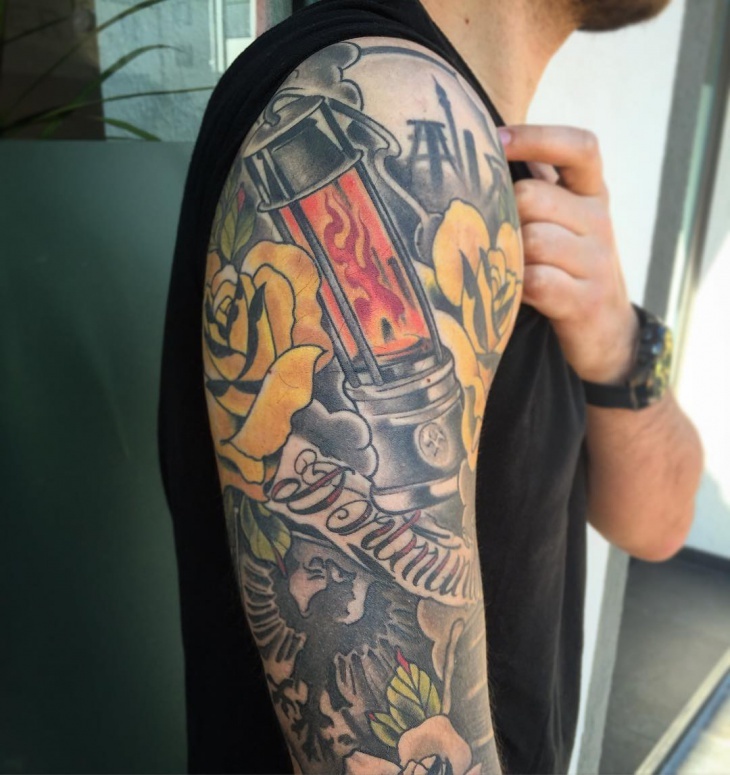 This sleeve tattoo might look complicated but the art behind is beautiful. The colours blend in perfectly and what is amazing is how each colour is very aptly used. 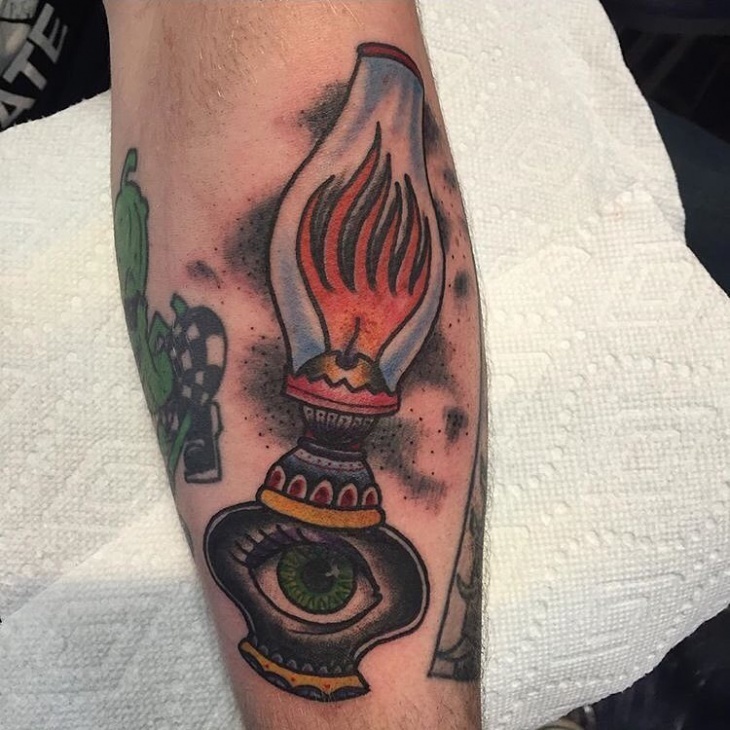 The fumes in the lamp make it look like it is coming alive. 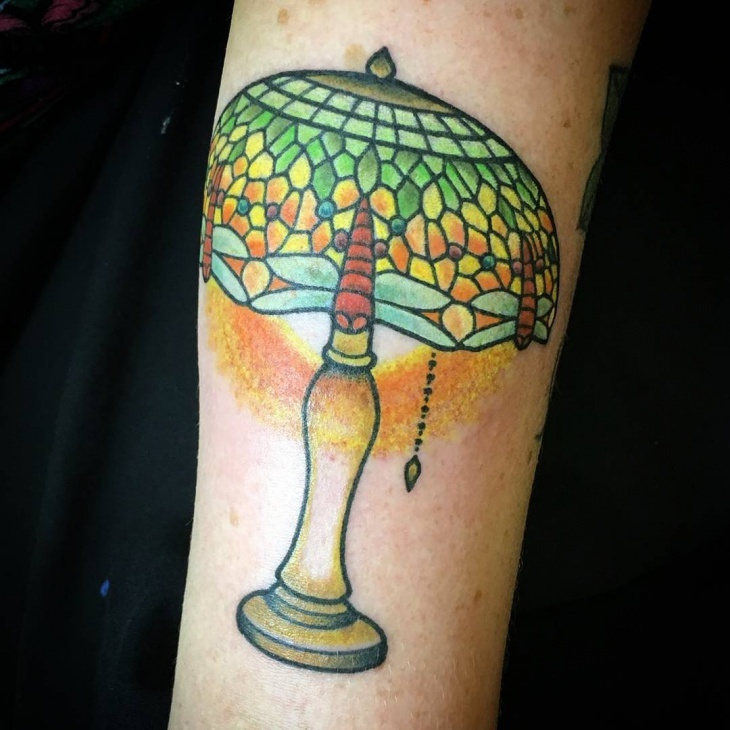 This is a vintage lamp tattoo that we absolutely loved. You might have seen a lot of these in the movies. 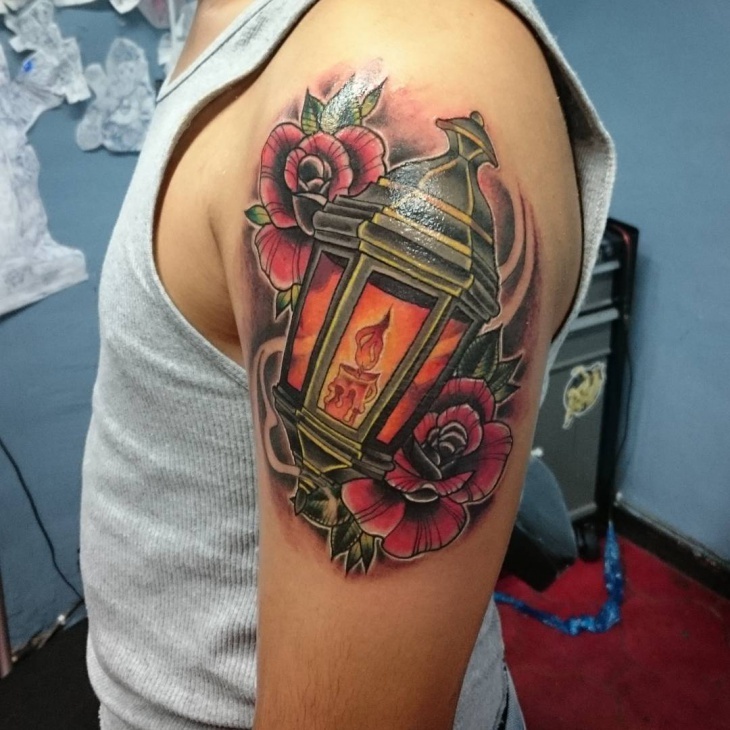 The colors and the shading are done perfectly and the tattoo fits in well. The red rose that is half melted and half shining in the light is a form of depicting love with light. 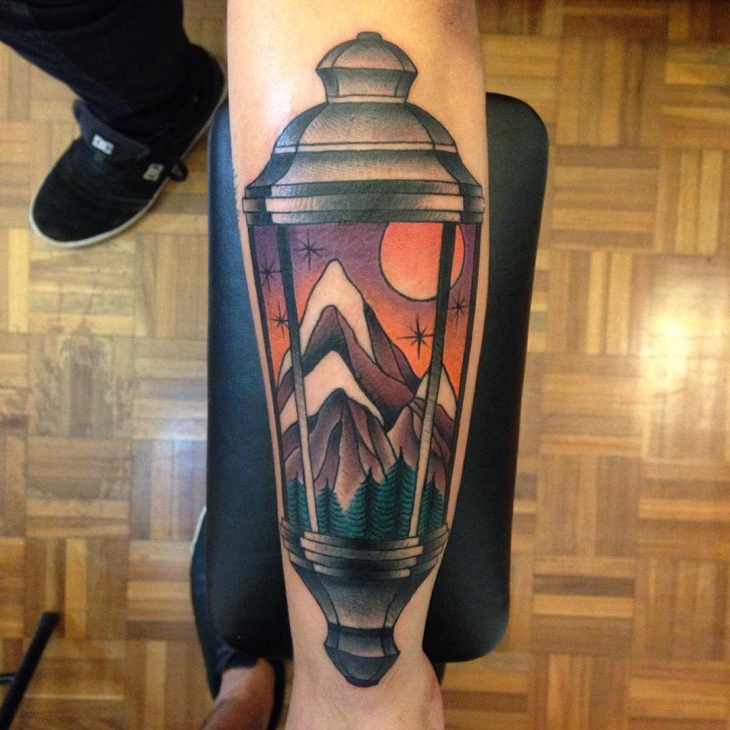 The concept is beautifully brought out in this tattoo and the designing is at par with the concept. 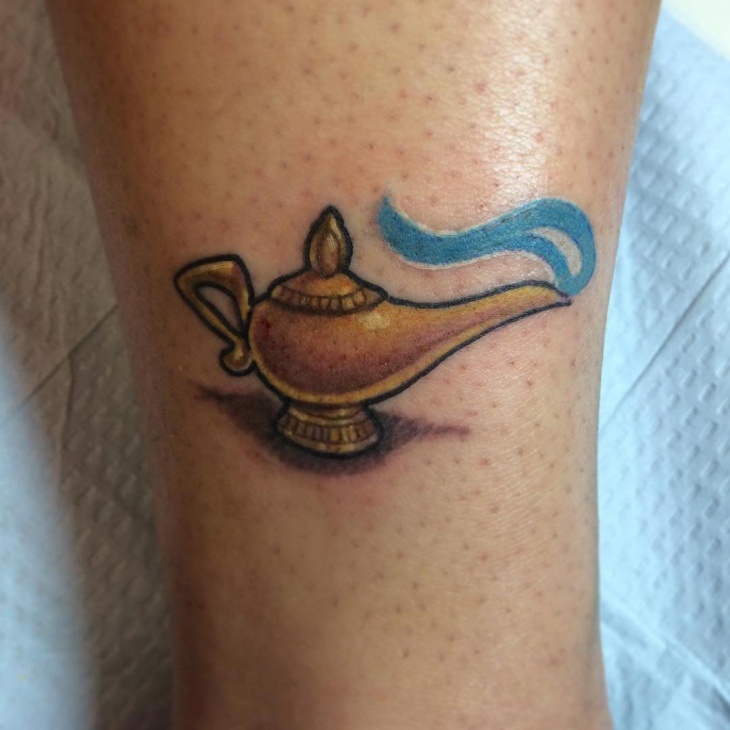 This takes us back to the famous show, Aladdin where he and the genie from the lamp pleased everyone. 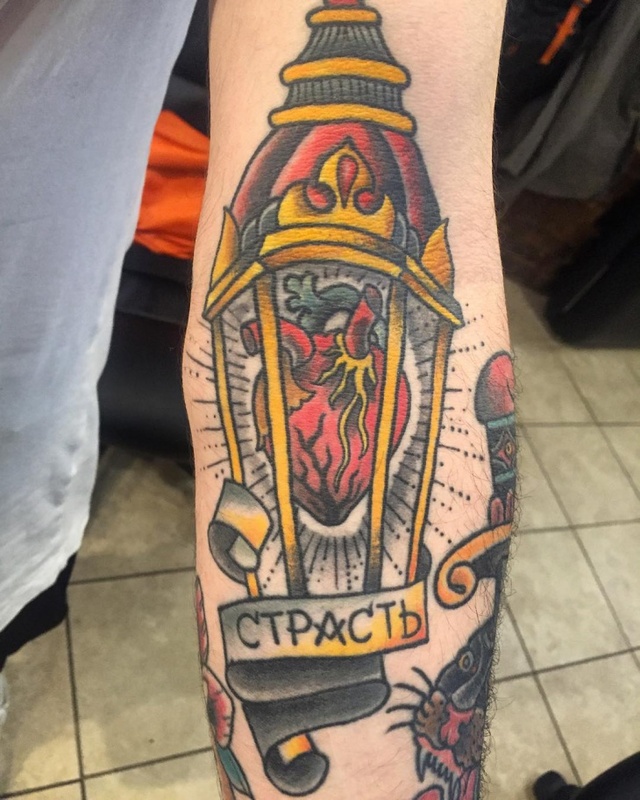 Just as the show, this tattoo is wonderfully designed and executed. Just like how it looks in the movie. This compared to the others, might look traditional but is used in many houses even till date. 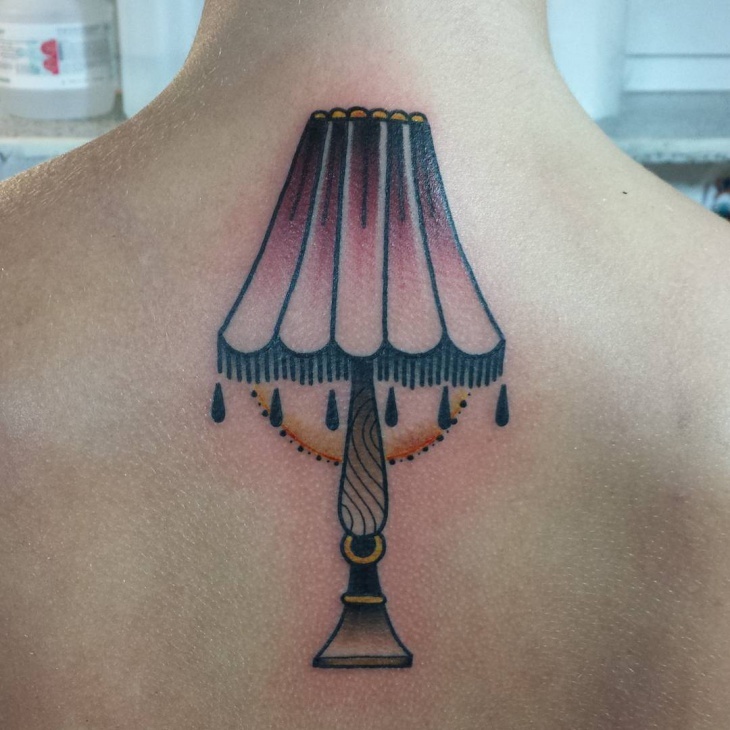 The lamp in black is drawn and shaded so nicely that it makes it look alive. 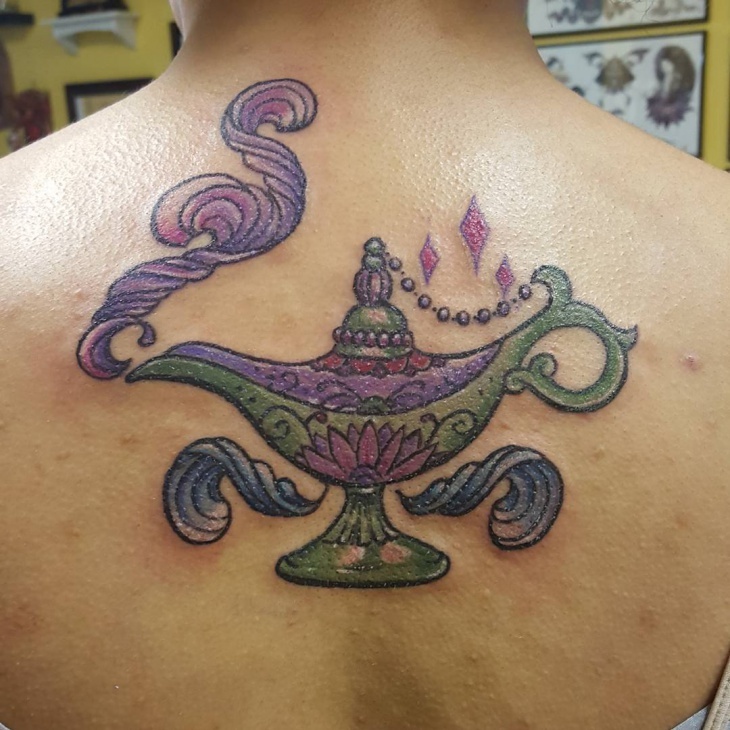 Each part of the lamp is well done. 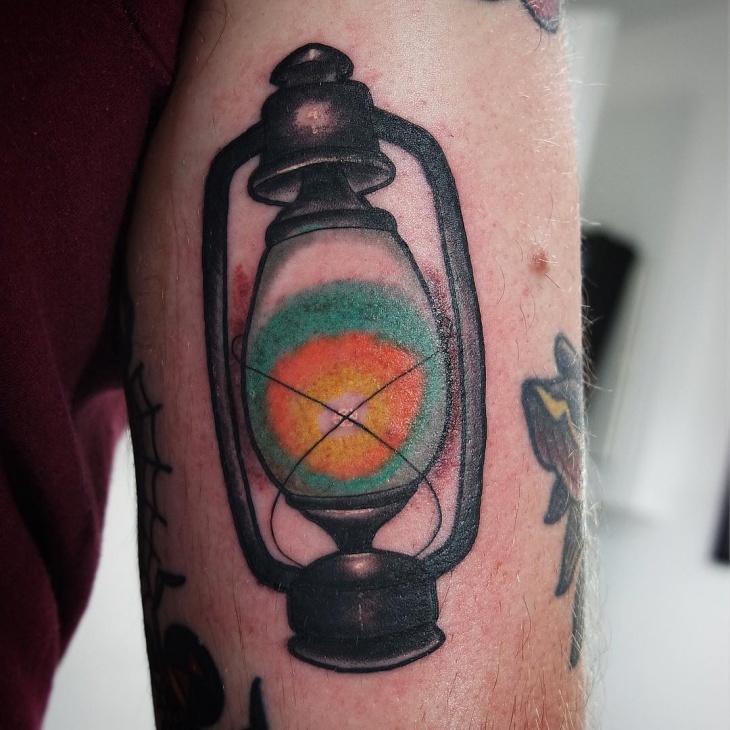 This is a Japanese lamp tattoo design that looks beautiful because of the many colours used on it. 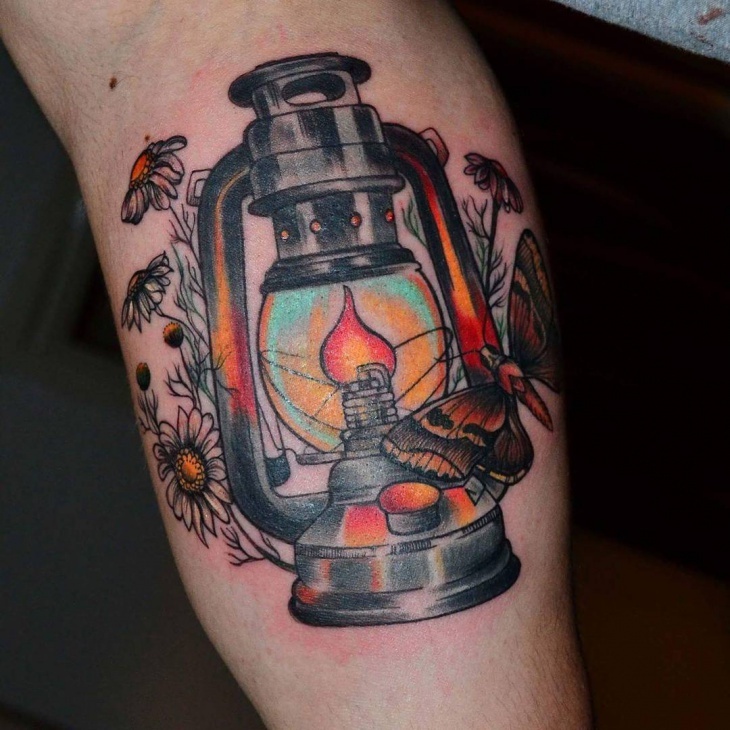 The flowers add more effects to it and overall this is a very lively tattoo design. This looks like a tribal tattoo because of the perfect red colour used. This again is a traditional one that we have seen during the king and queen times. You must have seen it many times in the movies also. This is well thought of and equally well executed. We saw some well executed lamp designs here that take us back to the medieval period. 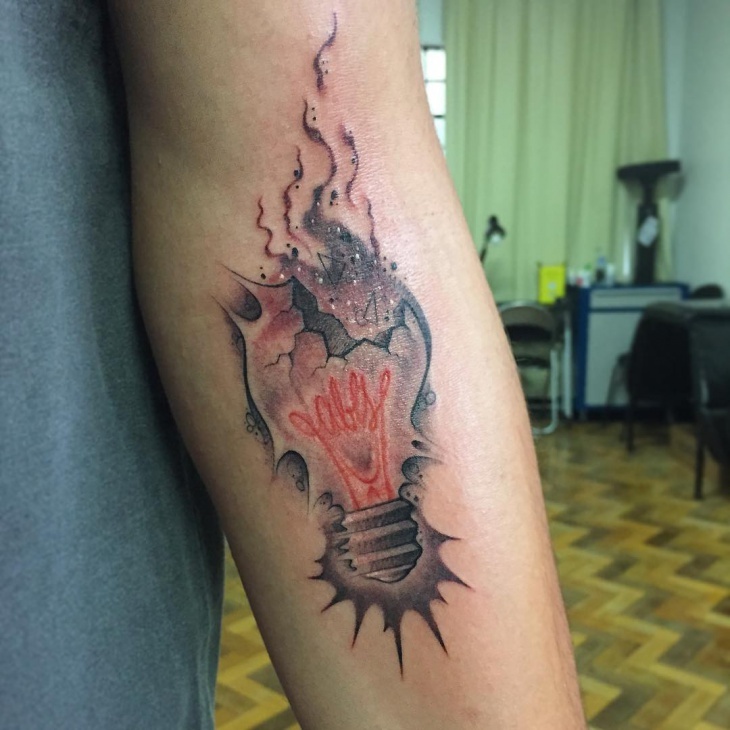 By getting this kind of tattoo done, you will grab a lot of attention.